Alpatek manufactures and markets a wide range of battery supply AC MOTORS and CONTROLLERS, both standard IEC and NEMA, but also CUSTOM BUILT versions. 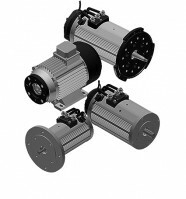 We keep different types of motors in stock. Please call for detailed information, we will help you to select the correct type. Our basic AC motor range consists of high efficient Asynchrous motors with aluminium or steel body and KTY temperature sensors and 32-64 pulse encoders. 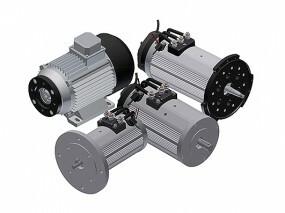 The voltage range covers 12V – 144V, with a power range of 200W – 30KW and the speed range varies from 500 till 8000RPM. 24V – 48V – 80V are commom used voltages. If you need something different, like a special shaft, flange or speed, just ask us. Also for low quantities.